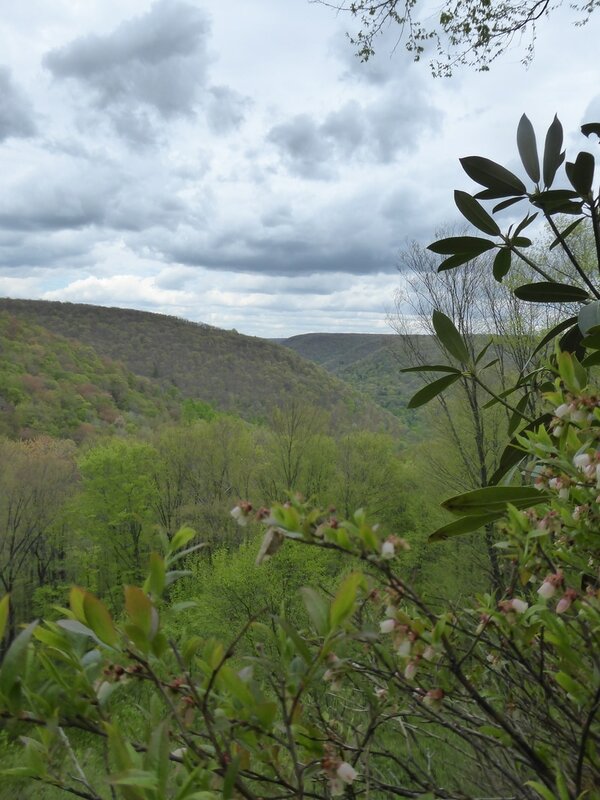 The Quehanna Trail in Moshannon and Elk State Forests, PA is an amazing 75-mile backpacking loop. The QT is a remote trail, with minimal cell reception and minimal use. 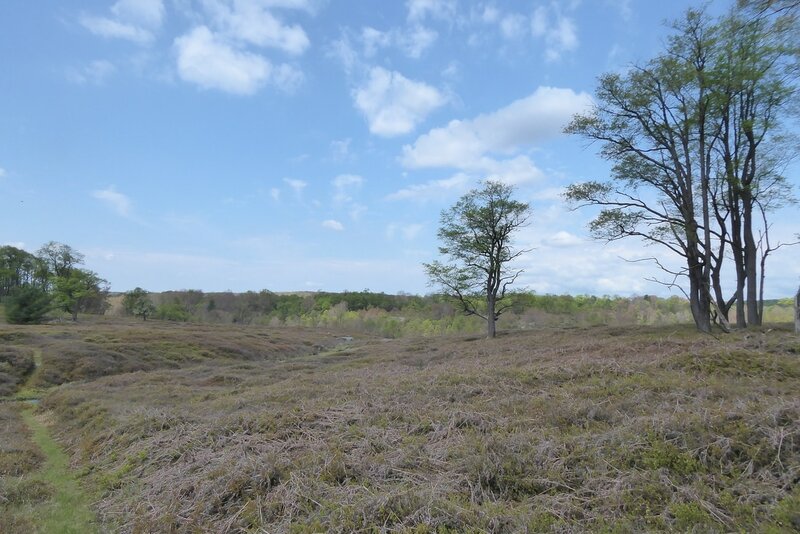 The Quehanna Wild Area is outstanding and well-known, but the rest of this route is an unknown adventure! It includes a good amount of elevation change, and tons of wildlife, including elk. 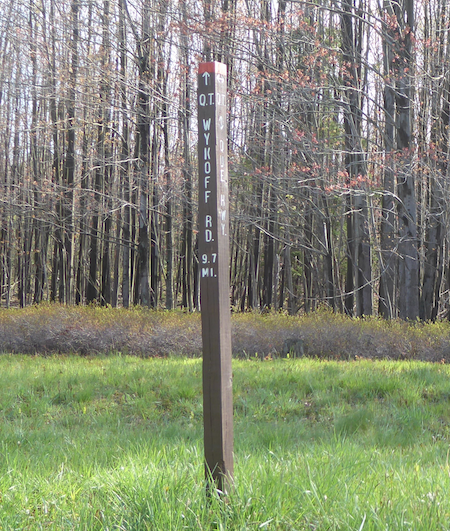 Plenty of trailhead parking areas, including a few PA state parks allow for easy access to this trail system. The QT never disappoints! The QT lies entirely within a portion of PA known as ‘PA Wilds’. A few selfless volunteers care for these trails, but there is a lot of work to do. The first lesson of the QT: be prepared for brushy trails. Many miles of this trail lead hikers along open meadows along the Allegheny Plateau. 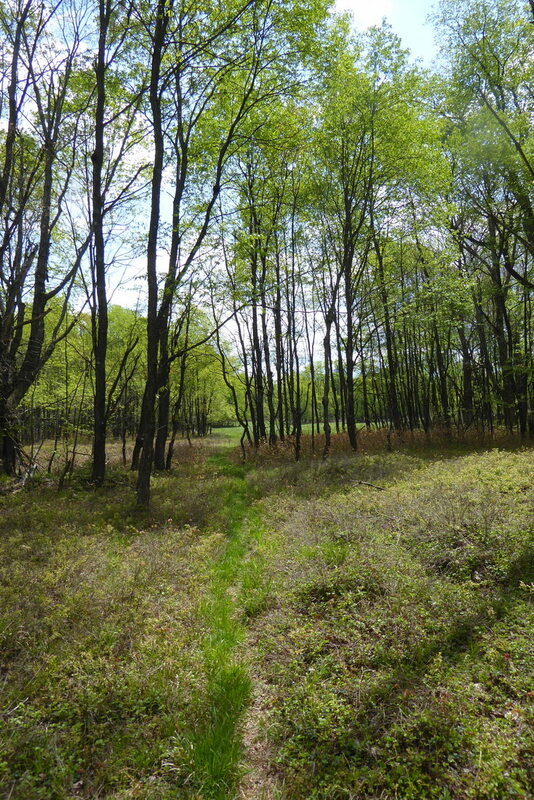 These meadows are filled with blueberries, raspberries, blackberries, and ferns. During the right season, these plants and their fruits can be delicious trailside snacks. 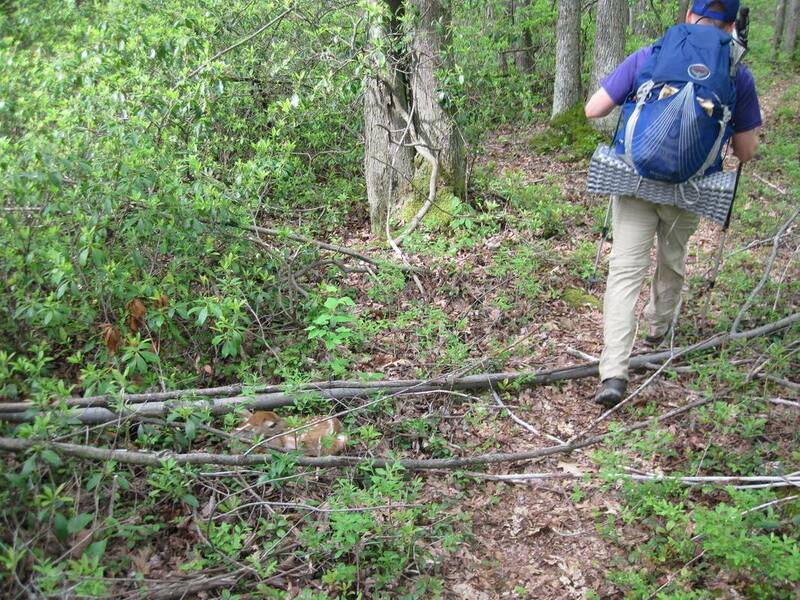 During other times, these plant species can make hikers shins bloody. Be prepared with long pants and/or ankle gaiters. Lesson two: Wet feet. Years ago I lost a trekking pole to a high stream along the Quehanna Trail. 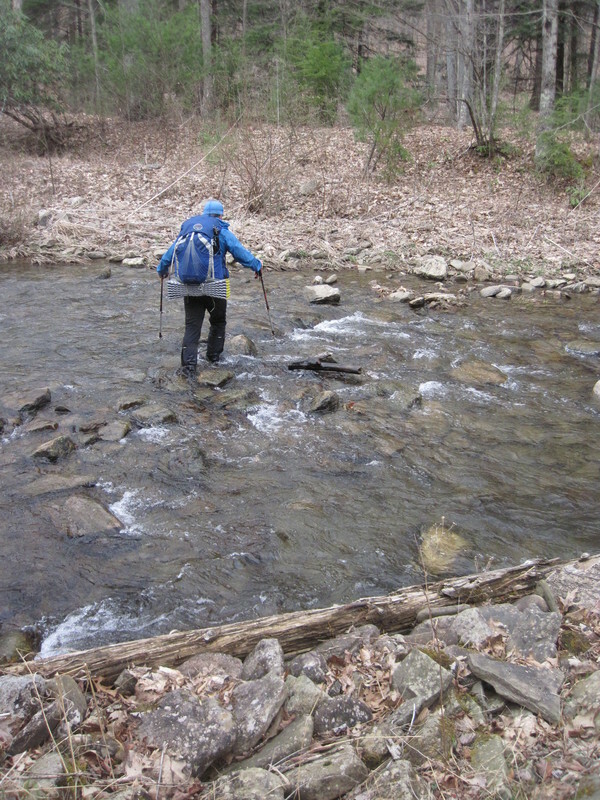 A quick glance at any Quehanna Trail map will show many stream crossings, some easy and some not so easy. Even when the water levels are low, portions of this trail can be boggy, or inundated with water as a result of beaver activity. Other sections, like Misquito Creek at Corporation Dam and Medix Run, can be flat out dangerous to cross during high water. Luckily, multiple side trails and cross connector trails afford backpackers the ability to quickly change plans during adverse conditions. This brings us to lesson three: connector trails! Anyone attempting to backpack the entire Quehanna Trail should be prepared to be accept failure and be willing to utilize alternative routes to get back home. Seriously. I’ve successfully hiked the QT several times, but I’ve also had to call it quits several other times and take side trails back to my car. Luckily, there are tons of connector trails in this forest, so alternative routes are easy to spot. Many of these connector trails are just as nice, if not nicer, than the actual Quehanna Trail! Lesson four: Watch your step! The wildlife along the QT is quite amazing, but tread carefully! I’ve almost stepped on white tail fawns, rattlesnakes, porcupines, etc…Coyotes, bear, and elk are also very common in this area. Migrating song birds also love this plateau, so keep an ear open for their beautiful songs! Lesson Five: Is it drafty out here? Chuck Keiper Trail has ‘licks’, Allegheny Front Trail has ‘runs’, Mid State Trail has ‘creeks’. Old Loggers Path has ‘streams’, and the Quehanna Trail has ‘drafts’. A term that seems to be unique to this this area, drafts are simply streams. The going theory is these areas are called ‘drafts’ because of the air currents that are derived by the deep cuts in the plateau. No matter the terminology, be sure to get out and enjoy this pristine part of Pennsylvania! Find the Quehanna Trail and all of the side trails in the surrounding area on the newest Purple Lizard Map, Moshannon-Quehanna Map.